COUNTDOWN 🙂 The Shohin bonsai course at Bonsai Empire. Today is the last change for the 30% discount. Pre-enroll and save. Link in bio ⬇️🌿 The course will be launched November 10th. Sally and I went to a small holding near Glengarry. Sally’s son and fiancee Michelle Lutener’s property. We went to witness their marriage on their property. Family from all over the world came to celebrate with them. Magic. Great sunny day and wonderful venue. We spent 4 days up there. On the day after the wedding, Sally and I drove up to Highmoor NR doing a quick two hours of birding including a short walk to the first dam at the top. Birding was quiet despite our early start. in total we identified 31 different species of birds. Click here to view the list. Here are some photos of the birds we did manage to see. 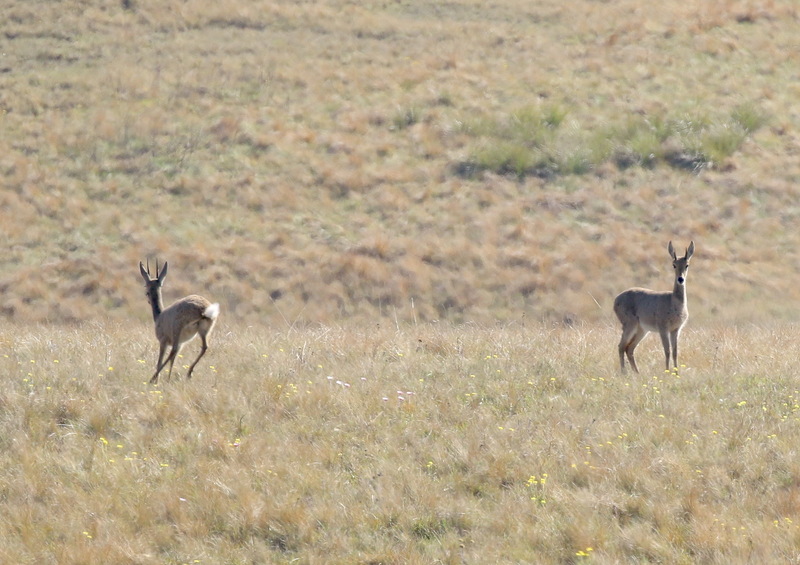 Mountain Reedbuck were seen near the Highmoor Dam – quite far away but nonetheless very skittish. Their call attracted them to us. After the wedding in Kamberg, Sally treated her two sons from Australia to a two night stay at Elephant Rock in Nambiti. We had a family cottage – two en-suite bedrooms overlooking a dam. We arrived at lunchtime in blistering sunshine and enjoyed a pleasant meal with a fair share of tipples. Then, when it was time for the afternoon drive at 16h00 the weather went overcast and was decidedly cooler on the way back.